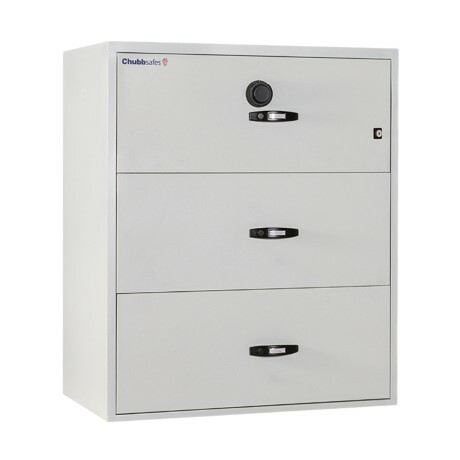 Benefit from fire resistance and a generous storage capacity for files in your office: Lateral Fire File from Chubbsafes is a range of certified filing cabinets providing fire protection for up to one hour. 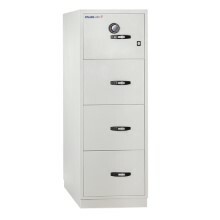 You want to keep your most important documents and files organised and protected from fire. 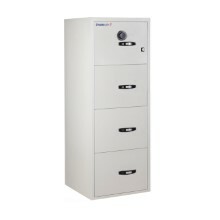 As a result, you need a smart and reliable storage solution that is certified up to the most rigorous fire-resistance standards. Lateral Fire File from Chubbsafes offers fire protection certified by Underwriter's Laboratories (UL), a leading certification company. 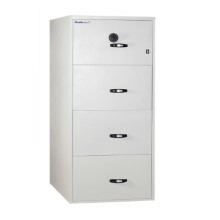 The cabinet's generous capacity enables you to take full advantage of your storage requirements.